From 1974 to 2011, Howard Phillips was the Chairman of The Conservative Caucus (TCC), a non-partisan, nationwide grass-roots public policy advocacy group. TCC provided leadership in opposition to the Panama Canal and Carter-Brezhnev SALT II treaties during the 1970s. Since then TCC has led national campaigns to end judicial tyranny, restore a U.S. military presence at Panama, deploy SDI, eliminate the graduated income tax, and terminate Federal subsidies to ideological activist groups. Other TCC campaigns have involved opposition to NAFTA and the World Trade Organization (WTO), and withdrawal from all institutions of the New World Order, as well as continuing efforts to oppose socialized medicine and abortion. During the 1970s and '80s, Phillips coordinated efforts to build private sector support for anti-Communist freedom fighters in Central America and southern Africa. He played an instrumental role in the leadership of the New Right, as well as in the founding of the religious right in 1977. 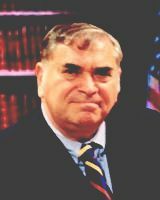 Phillips has led geostrategic fact-finding missions to Eastern Europe, Africa, the Baltic States, South America, Central America, Western Europe, and the Far East. Phillips is President of The Conservative Caucus Research, Analysis & Education Foundation. Howard Phillips founded the U.S. Taxpayers Party (USTP) in 1992 to offer America leadership committed to restoring the Federal Republic to its delegated, enumerated Constitutional functions and returning American jurisprudence to its original "common law" Biblical foundations. Phillips was nominated in 1992 and 1996 to be the USTP candidate for President of the United States. In 1999 he was chosen to be 2000 Presidential nominee of the Constitution Party, the renamed USTP. Phillips has published four books: The New Right at Harvard (1983), Moscow's Challenge to U.S. Vital Interests in Sub-Saharan Africa (1987), The Next Four Years (1992), and Victory 2000 (1999). He was the recipient of the Strategic Resource Group's William Wilberforce Award for "Ministry to the Nation/Public Policy" in September, 1996; the National Council on Bible Curriculum in Public Schools Award, 1995; the Young Americans for Freedom "Alumnus of the Year" Award, 1990; the National Association of Pro-America 1983 Award for "promoting Constitutional government"; and the June, 1982 Eagle Forum Award, for leadership in the pro-family cause and "steadfast opposition to the mischief of the Federally financed feminists." In May, 2002, the Patrick Henry Center for Individual Liberty conferred upon him the title of "Patriot".